These charts accompany our story Word 2013 cheat sheet. 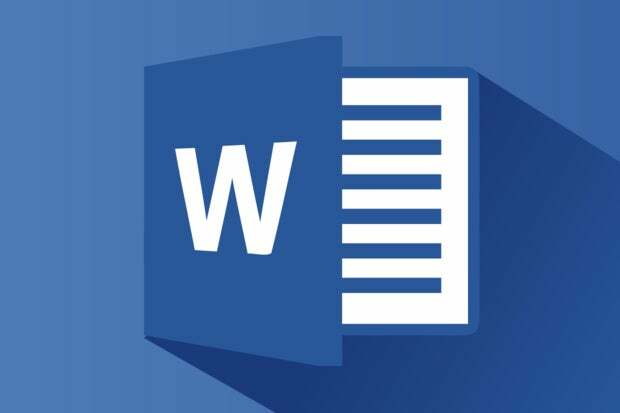 Click through to that article for detailed information on how to get the most out of Word 2013. For the most part, Word 2013's Ribbon is intuitive to use, but it's not always easy to figure out where each command is located. To help, the charts below show each Ribbon tab with its most commonly used commands; we've also included keyboard shortcuts. The File tab behaves a little differently from the other Ribbon tabs. Instead of seeing a set of commands on the Ribbon above your document, when you click the File tab you're taken to an area that Microsoft calls "the backstage." Rather than making changes within a document, this area lets you work with a document and Word overall. You'll find common tasks such as opening, saving and printing a document, as well as special screens for managing the document, customizing Word and managing your Office account. This tab contains the most-used Word features, such as tools for changing fonts and font attributes, customizing paragraphs, using styles, and finding and replacing text. The Home tab (click image to enlarge). As you'd probably guess, this one handles anything you might want to insert into a document, such as tables, pictures, charts, hyperlinks, bookmarks, headers and footers... you get the idea. The Insert tab (click image to enlarge). This tab lets you work with a document's overall design, from choosing a pre-designed template or theme to customizing colors, fonts, paragraph spacing and more. It's new to Office in 2013, and some of its commands are similar to those found on the Home tab and Page Layout tab. But there's an overall difference: The Design tab is for changes affecting the entire document, and the other two tabs are generally for changes in individual parts of the document, like paragraphs. The Design tab (click image to enlarge). Here's where you change margins and page size and orientation, set up columns, align objects, add effects and so on. There are some gray areas between this tab, the Home tab and the Design tab. For example, on the Page Layout tab you set indents and spacing between paragraphs, while on the Home tab you set paragraph alignment and spacing between lines. And while some commands are shared with the Design tab, the changes you make on the Page Layout tab generally affect individual paragraphs or sections of the document you've selected, whereas changes you make on the Design tab affect the entire document. The Page Layout tab (click image to enlarge). This tab handles tables of contents, footnotes, bibliographies, indexes and similar material. It also lets you insert a "Table of Authorities," which sounds like something straight out of a Soviet bureaucracy but in fact is a list of references used in legal documents. The References tab (click image to enlarge). As the name says, this is where you'll go for anything to do with mailings, from something as simple as creating labels to the more daunting task of mail merges. The Mailings tab (click image to enlarge). Need to check spelling and grammar, look up a word in a thesaurus, work in markup mode, review other people's markups or compare documents? This is the tab for you. The Review tab (click image to enlarge). Here's where to go when you want to change the view in any way, including displaying a ruler and grid lines, zooming in and out, splitting a window in two and so on. The View tab (click image to enlarge). Some tabs are not part of the basic Ribbon but appear only in certain contexts. For instance, the Picture Tools/Format tab appears only when you've inserted an image into your document and your cursor is positioned in the image area. It lets you do everything from cropping the image to positioning it on the page. The Picture Tools/Format tab (click image to enlarge). When you insert a table into your document and position your cursor in it, two new tabs appear: Table Tools/Design and Table Tools/Layout. The Design tab lets you control the table's style, including borders and shading, while the Layout tab lets you specify the number of rows and columns, merge and split cells, sort the table's data and more. The Table Tools/Design and Table Tools/Layout tabs (click image to enlarge). Similarly, when you insert a chart into your document and position your cursor in it, you see the Chart Tools/Design and Chart Tools/Format tabs. The Design tab lets you set what the chart looks like and what data appears in it, and the Format tab lets you control how it integrates with the page and do things such as change the styles of the shapes and lines in the chart. The Chart Tools/Design and Chart Tools/Format tabs (click image to enlarge). Following are some of the most commonly used commands from these contextual tabs. Note that the keyboard shortcuts only work if your cursor is in the picture, table or chart. 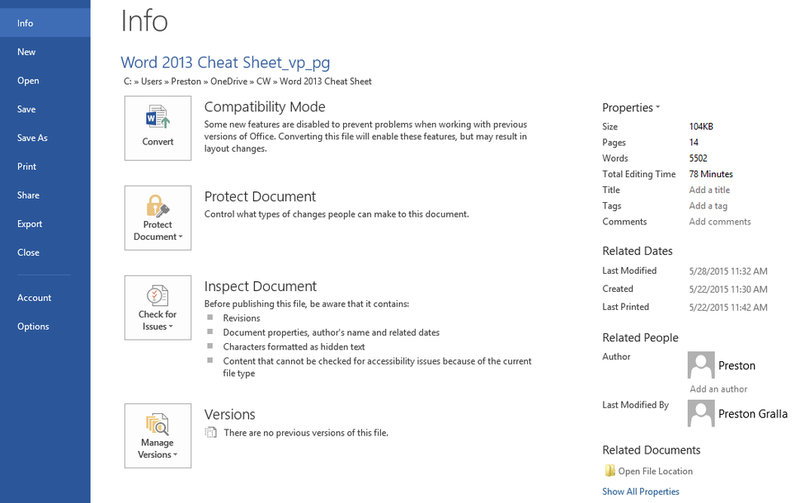 See our Word 2013 cheat sheet to get the most out of Word 2013.